I was incensed to read this article in the Independent about our 30th anniversary. It’s based on interviews with 2 former leaders, Tim Farron and Paddy Ashdown and with one other person, Nick Clegg’s former staffer, James McGrory. In the whole article, there isn’t even the merest hint of a mention of the women who helped build this party. Nothing about Shirley Williams. Nothing about Diana Maddock’s amazing victory in the 1993 Christchurch by-election. Nothing about Sandra Gidley’s unexpected victory in Romsey in 2000. Nothing about Sarah Teather’s ground-breaking by-election victory in Brent in the wake of the Iraq war. Nothing about Sarah Olney’s by-election victory showing we were back in the game. Nothing about Jo Swinson building up a seat and winning it at 25 and subsequently becoming the first Lib Dem woman to attend Cabinet. Nothing about our Presidents Shirley, Diana, Ros Scott and Sal Brinton. Nothing about how Lynne Featherstone built up her Hornsey and Wood Green seat. Nothing about the present day Lib Dem campaigners like Elaine Bagshaw. I’m also updating this to add Kirsty Williams as per the first comment. She served the party so well as Welsh leader and is currently our only Lib Dem member of a Government. Her pioneering More Nurses law made Welsh hospitals safer. Women have been at the forefront of some of the party’s most pivotal moments. Why not talk to some of them? I have come up with ten of them off the top of my head in about half a minute. And if we think that’s bad, the article about our history on our own party website doesn’t mention a woman until its penultimate paragraph. Maybe they think one out of twelve is enough, that they’ve ticked the woman box with the addition of Millicent Fawcett? Apparently one of the reasons given for refusal was the state robes Thatcher would have been wearing. Even in death, it seems there are no limits to how society judges women by how they look and what they wear. We may not have a monument to Margaret Thatcher but we do have a monument to “Thatcherism”. It is the Grenfell Tower. The foundation of Thatcherism is the minimisation of the state. It plans and proceeds to reduce government regulation and suppress its spending. It does this without the guidance of long term consequence and human cost. Tower blocks, like Grenfell, lack sprinkler systems, alarms and secondary exit routes which, before the “bonfire of red-tape”, were the norm. They have been mandatory in New York since 1967. Grenfell proves that they are necessary and yet HMG has not yet withdrawn a press release of 03/04/2016, entitled “Government going to further cut red tape by £10 billion”. It has not reviewed or withdrawn its doctrinaire and dangerously unspecific “One-in, Three-out policy” under which three regulations must be removed every time a new one is introduced. As well as its economic and social consequences, Thatcherism has affected attitudes, behaviours, relationships and language. BBC 2 are repeating some of Terry Wogan’s programmes at lunch time. They’ve been showing “Terry and Mason’s great food trip”, where our Tel went round Britain with a cabbie. I think it’s the best thing he did. There is no greater spectacle than the great Irishman bantering away and tucking into good old fashioned grub. David Cameron’s recent speech on European immigration is the latest in a series of desperate moves from a Conservative Party in full-scale panic. We’ve had: “Go home or face arrest” vans. We’ve had: if you are from the EU and want to move to Britain, go and register at a police station. We’ve had: if you’re out of work, even for a few months, go back to where you came from. What happened to that Conservative destiny? The dual menace of the Tory headbangers and the rise of Ukip. There is nothing patriotic about bashing immigration from Europe. It is opportunistic, weak and fundamentally un-British. Migrants from the EU claim less in benefits than people born in this country. They are a massive net positive to the British economy. The Tories are scared to admit this. They have lost all sense of political courage – and that is why people have lost confidence in them. We, the undersigned Liberal Democrats, konw that the real patriotic case is for Britain to remain in Europe; our jobs and our economic future depend on it. Each New Year brings the unveiling of Government files from 30 years ago. This year’s revelations include some highly topical references to CIA approaches to British citizens. In 1984 Margaret Thatcher ruled. Paddy Ashdown was one of 23 SDP/Liberal Alliance MPs – he did not become Leader of the Liberal Democrats until the merger of the Social Democrat and the Liberal parties in 1988. Before he entered Parliament he had been an MI6 officer, so he was well placed to observe the CIA’s activities. Careful, Boris. Remember what happened to the last top Tory to liken the Lib Dems to a bird? “The sooner we are shot of the great yellow albatross, in my view, the better.” So said Boris Johnson yesterday, taking a pop at both Nick Clegg and the Lib Dems. In every single sphere of British influence, the upper echelons of power in 2013 are held overwhelmingly by the privately educated or the affluent middle class. To me from my background, I find that truly shocking. I never thought I would recommend a film from Martin Durkin, famous for climate change denialist hysteria on Channel 4. But in Margaret: Death of a Revolutionary (until 13th May) he pays tribute to the woman who did possibly more than anyone else to make climate change a globally recognised issue, leading to the formation of the IPCC. But no tribute for doing that in particular, obviously. Do you think you’re a Thatcherite? Well, the Daily Telegraph has devised a test to help you find out: you’re 10 questions away from finding out on how much you and The Lady (dis)agreed. Thatcher museum to be housed in former Liberal Democrat HQ? Way back in 1981, when Margaret Thatcher was Prime Minister, the SDP was formed and took up residence at 4 Cowley Street, just round the corner from the Houses of Parliament. That building became the home of the Liberal Democrats after the 1988 merger between the Liberals and Social Democrats. 4 graphs on Thatcher’s legacy: a richer but more unequal nation. A generation on, the Thatcher legacy continues to provoke and divide. One of the questions it poses for liberals is one this government is still wrestling with: does inequality matter if everyone’s getting richer? MPs in the Commons and peers in the Lords have been queuing up this afternoon to record their tributes to Margaret Thatcher, including both Nick Clegg and Paddy Ashdown. To read both their tributes, please scroll down the page. Nick’s come in for some stick on Twitter, mostly from right-wing MPs/journalists, for instance Mark Reckless and Sarah Wollaston; even the usually fair-minded Isabel Hardman of The Spectator called it “sour”. I’ve both read and watched Nick’s remarks and don’t buy that criticism at all. But two things do strike me. First, it’s a very perfunctory speech. The only two personal comments he makes are a nod to his Sheffield constituency (“where the mere mention of her name even now elicits strong reactions”) and a rather glib aside about her infamous “there’s no such thing as society” quote (I say glib because there’s a lot more to the quote than that: disagree with it by all means, but recognise there was a context to it). Secondly, and more disappointingly, it tells us nothing about Nick and his views on Margaret Thatcher. Yes, of course the tribute is about her, not him; but surely everyone who grew up in the 1980s has a view on what she got right and what she got wrong? What’s Nick’s? Instead, he squirms round it equivocally: she “elicits” strong views… “whether people liked or disliked her”… “remember her with all the nuance, unresolved complexity and paradox that she possessed.” There is a studied, deliberate vagueness here. I want to know what Nick thought then; and what he really thinks now. I think the closest we probably get to that is his observation that “much of her politics was subtle and pragmatic”: that’s the aspect I suspect Nick admires. That’s why those Clegg-critics who sniped at Nick’s tribute surprise me: there’s far too little of him in his speech, not too much. The sale of council homes and tackling of trade union power remain popular today, but people are less supportive of the fights she picked with Europe and tax cuts for the rich. Privatisation of the utilities and the poll tax remain deeply unpopular. Predictably social media exploded with chatter about the passing of an epoch-defining politician. Perhaps it says something about the kind of people I associate with, that I found myself reading one comment after another proclaiming “Ding dong the witch is dead”. Some of my Facebook ‘friends’ have even posted grinning photographs of themselves celebrating the happy event. Whatever it says about my social circle, it says plenty about the Left. Several senior Liberal Democrats have already shared their thoughts on the passing of Lady Thatcher. We’ll collate further comments on this page as they come in. The BBC and other outlets are reporting that Margaret Thatcher has died following a stroke. She was Britain’s first and only female Prime Minister and one who changed the political landscape. While we in the Liberal Democrats often have disagreed with her, there is much to reflect on in her lasting legacy. Our thoughts are with Lady Thatcher’s friends and family at this time. Comments are open below for tributes only, please. Like Caron, I spent more than a healthy amount of my Bank Holiday Monday watching BBC Parliament’s re-run of the 1983 general election. It’s not an election I remember (I was 6). 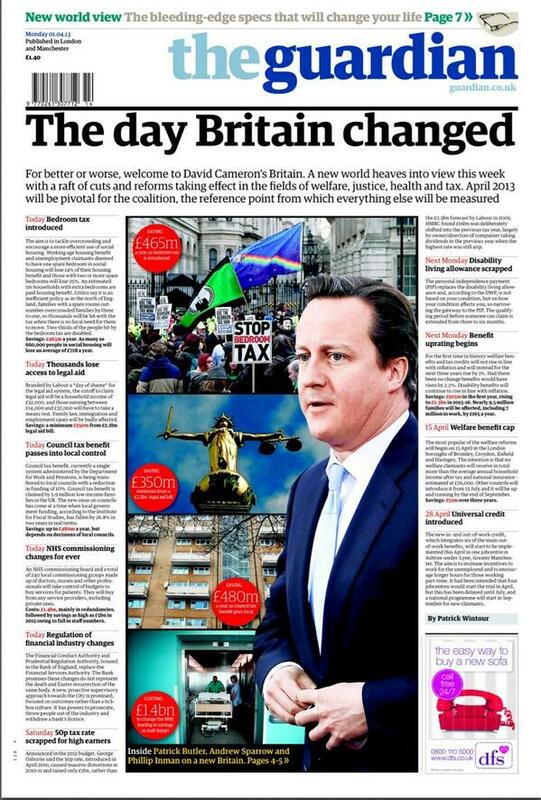 But the symmetry of yesterday’s hyperbolic Guardian (‘The day Britain changed’) front page and the televised reminder of Margaret Thatcher’s first landslide seemed calculated to confirm the left’s view that 1st April 2013 marked the ultimate victory of those on the right who wanted (and still want) to destruct the welfare state. I wonder if Labour HQ wish they’d read John O’Farrell’s 1998 book, Things Can Only Get Better, a little more carefully before he was selected to fight the Eastleigh by-election? Amidst all the Tory Euro-hysteria (‘Eurotic’, I’ve heard it described as: and I seriously hope I didn’t mis-hear) it’s easy to forget there are a few Tories, a diminishing if stoic band, who have kept tight hold of their senses. And though it was David Cameron’s desperate last-ditch pitch for the job of Tory leader — his 2005 promise to his party’s Europhobes to withdraw the Tories from the mainstream centre-right EPP alliance, a policy even David Davis wouldn’t touch — which has, slowly but inevitably, dragged the party ever more fringewards, a few of his backbenchers remain hopeful they can persuade him, even now, to do the sensible thing. We acknowledge the EU’s shortcomings and understand the desire and, under the Lisbon Treaty the possibility, to repatriate powers. However, we do our nation, as well as Europe, a disservice by not confidently exerting the same level of engagement and leadership as we demonstrate in organisations such as NATO, the G8, the UN Security Council or the Commonwealth. It is a truth often acknowledged that Tony Blair and David Cameron, in moving their respective parties to the centre ground, left a gruelling obstacle on the road to a truly Liberal Britain. But it’s not from those leaders that the next generation of Liberal Democrat’s must learn, rather it is from a leader who would regard liberalism as a dirty word, and many Liberal outcomes as inimical to her view of society, Margaret Thatcher. A number of things hit the headlines this morning as the Margaret Thatcher Foundation reveals papers from 1981. Margaret Thatcher had a secret meeting with Rupert Murdoch at Chequers weeks before his 1981 purchase of the Times newspapers, newly released files show. A note by her press secretary Bernard Ingham says the prime minister thanked Mr Murdoch for “keeping her posted”. But the contentious issue of whether to refer the bid to the Monopolies and Mergers Commission was not raised. This week I attended the screening of The Iron Lady and was disturbed by the way in which the film portrayed its subject. Can we therefore have a debate on respect, good manners and good taste, as I found the film—although brilliantly acted—to be disrespectful to a Member of this Parliament? The Iron Lady cast a steely shadow over the Westminster village last week. Memories of Baroness Thatcher’s reign of heavy metal terror still strike fear in those who inhabited the place in the days when she would mercilessly handbag anyone who dared to cross her path. Last week, of course, her major Hollywood biopic was released. Fearing unfavourable comparisons, the PM appears to have gone into manic overdrive; launching an overlapping series of popular-sounding and eye-catching initiatives. I have yet to watch Meryl Streep’s portrayal of Margaret Thatcher. I’m sure it will be fascinating, but I just fear that it might also be a bit too painful – I find it hard to divorce my views on the politics of that era from my memories of avoidable hardship experienced by the community I grew up in. Then again, perhaps I should try and get over my Thatcherphobia and view her record a bit more dispassionately. Where better to start than Mrs T’s record on Europe? The Coalition’s Political Plan B, Mrs T, and TINA: what does this spell out for the Lib Dems? The political aftershock of George Osborne’s autumn statement is just beginning to sink in: the Coalition’s 5-year austerity programme, designed to end in 2015 by the time of the next general election, is now a 7-year programme straddling two parliaments.